'nother suggestion taken from the folks that follow me on Twitter. 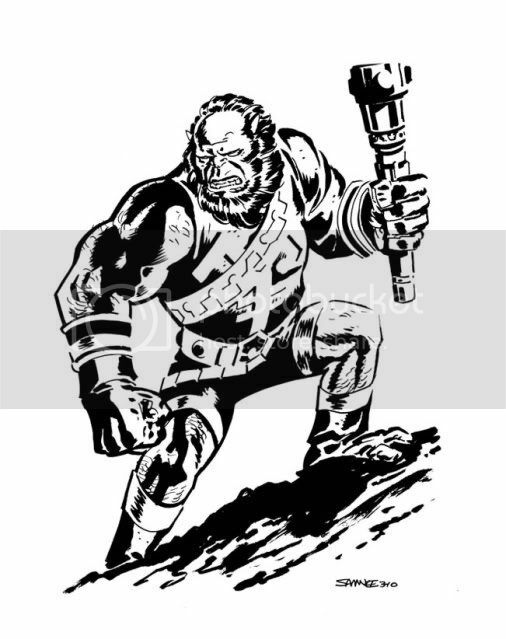 This go 'round Kalibak here was suggested by the amazingly talented, and fellow Comic Twart contributor, Ron Salas. I love the mythical proportions and quality to this rendition of Kalibak. That (seemingly) continuous hair-beardline is not easy to pull off, but you've managed to make it look easy. Great work, sir!